If there is an indispensable device in the computer world, we can without hesitation designate the mouse. Indeed, desktop users will not be able to do without, those with a laptop will enjoy a greatly improved experience. Beyond the well-known manufacturers, there is a multitude of smaller brands also offering products more or less adapted to your needs. The Gamer will search for a whole bunch of shortcuts in order to facilitate its "Gameplay" while the desktop user will look for simplicity. 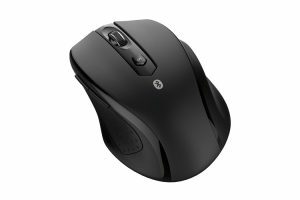 Our comparison is exclusively based on wireless mouse models to meet any type of user. It must also be admitted that a threadless is always more pleasant. To help you find the model that suits you best, I offer my selection of Bluetooth mouse. You will find among others the top, the best quality/price ratio or what is best at the entry level. 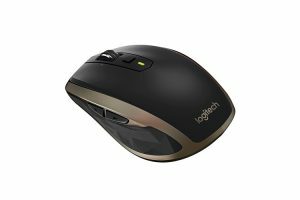 If you are looking for a complete product of excellent quality, this Logitech MX Master 2S Mouse is clearly made for you! This device created by Logitech, the manufacturer no longer need to prove his expertise, is equipped with features quickly becoming essential. The quality of manufacture is worthy of the high end with a near perfect finish. We particularly note the implementation of the technology "Flow" allowing the mouse to navigate up to three machines without manipulation! The vertical and horizontal scroll wheels will delight fans of editing, whether video or image. The grip is very nice and its 7 buttons settings will offer a wide choice of configuration. Note also the presence of a USB Unifying sensor in case your machine does not have an embedded Bluetooth system. So we have a complete mouse and very good bill. Some will find the tariff a little high, but the product is clearly worth it. On this model, simplicity and efficiency have been put forward by the manufacturer. The grip is perfect, the size very well thought and use of great simplicity. No frills for this model: the two clicks, the wheel and a button "home", the "Windows Touch". It is on the latter that this mouse stands out particularly. Indeed, it is possible to assign a function such as opening the start menu for example. It may seem insignificant at first, but once tested, it quickly becomes essential. For the rest, Microsoft has not skimped. The overall quality of the materials used is as good or better than some of the more expensive models. The manufacturer has also decided to make sustainable: not less than 3 million clicks announced in life for its buttons! Without any hesitation, the Microsoft Sculpt Comfort Mouse was the good surprise among all the mice that I had the opportunity to take in hand. It just misses the two thumb buttons to become a very big one, but at the price, it is hard to ask for better. I do not hide that I had an apprehension when taking control of this product. 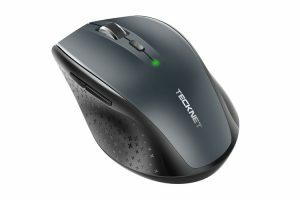 Indeed, the manufacturer Tecknet was totally unknown to me and the tariff positioning gave a glimpse of doubts about this mouse. 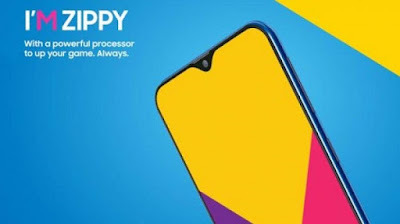 As we must not trust appearances, so I was very pleasantly surprised by this device that has nothing to envy to models announced more upscale and more expensive! We are clearly on a simple product, but complete with its 5 buttons: wheel, DPI setting, click next and previous as well as the right and left clicks. The quality of manufacture is certainly not at the level of major brands, but the price displayed, the price/quality ratio is excellent. Tecknet was inspired by high-end models and was able to reproduce the main features while limiting costs. The plastics and the sensor used are of average quality, but the essential is there. It is clear that if you are looking for a durable and high-end mouse, this device is not for you. By cons, if your choice is a low investment for a complete and effective mouse, I can only advise you this model without hesitation. There are of course many other models on the market and we can not all introduce them to you. Your choice or your budget may be based on intermediate models to those proposed above or are you looking for more specific functions? So I've prepared a selection of mouse models that might interest you. This mouse is the most surprising that has been given to me to have in hand. Its absence of apparent buttons is confusing at first and one wonders how to apprehend it. Once the tactile surface is tamed, a question comes naturally: "But what are the buttons finally used for? Logitech tried to crack the codes with this model and the bet is successful! The functions are fully customizable and the grip is great in addition to being original. The product itself is very beautiful and successful. 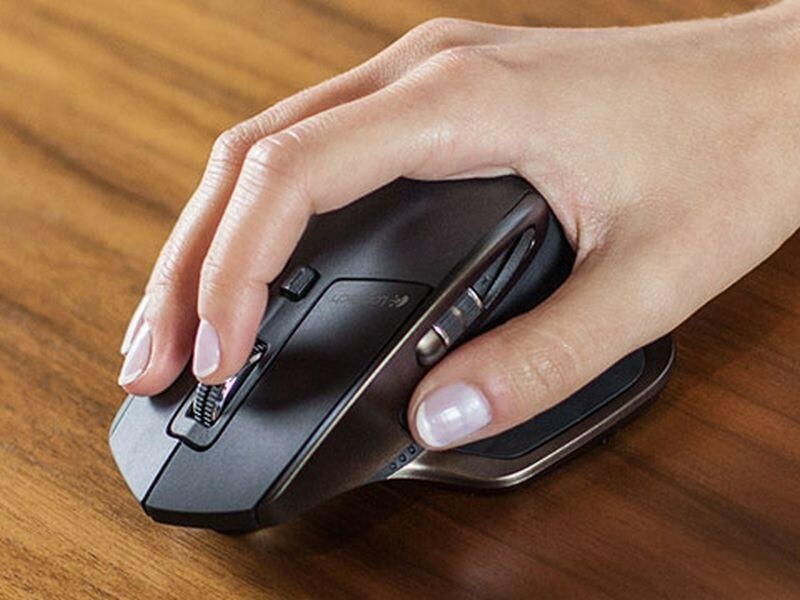 The finish is perfect, the line of the mouse is beautiful with its brushed steel lathe reflecting the expertise of Logitech. At the purely technical level, it is true that the manufacturer could have done a little better on the sensor, but overall, this mouse is exceptional and will delight fans a little geek like me! 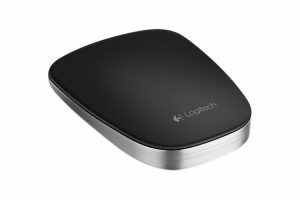 Logitech MX Anywhere 2: Pretty much everything! Logitech has struck a big blow again with this high-end model. The MX Anywhere 2 is an excellent compromise between the entry-level and the very top-of-the-range by its quality and its complete functionalities. Equipped with the very good Darkfield sensor, you can use it on any surface even in a glass without any difficulty. The manufacturer is once again using very strong materials and gives a nice finish to this mouse. The grip is as usual at Logitech, very nice, the touch is good and responsiveness very correct as a whole. Note the presence of a button under the mouse to synchronize and register 3 devices. This is very convenient if you use a single mouse on multiple machines, the only constraint will be to return the mouse and press this button. Another element to the advantage of this mouse: autonomy. One minute of charging equals one hour of use and a full charge will let you use your mouse for ... 2 months! What could be better? Finally, I was pleasantly surprised to find a USB Unifying sensor with the mouse. This allows the use of any machine not even equipped with Bluetooth native, provided that a USB port is available. To finish this selection, I propose you to discover this mouse first prize. I had a lot of low-cost models in hand and this one finally stood out. Indeed, the DPI settings functions, the good grip, and 5 buttons have done the job, simply. As far as materials are concerned, we should not expect solid and durable, but neither are we feeling absolutely fragile. The clicks are correct and the wheel responds well, the whole being a bit noisy, but nothing alarming. The grip is correct without being exceptional and the coating of the thumb rest pleasantly to the touch. JETech offers us a mouse that does well what we ask, no more. 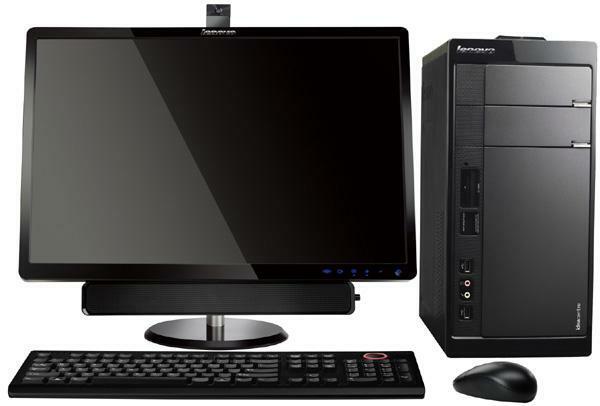 However, I advise this model to casual users or as a backup device, for example, to avoid the touchpad of a laptop. But by the way, what is an "IPR"? When looking at a description of a mouse, the first item put forward is the DPI (or PPP). But do you know what this term means? The DPI (Dot Per Inch) or PPP (Points Per Inch) represents the sensitivity of the mouse. To make it clear, it is the number of pixels traveled by your mouse on a displacement of one inch or 2.54 cm. Specifically, if a mouse is set to 2000 DPI (or PPP), it means that it will move 2000 pixels for a distance of 2.54 cm. You now understand that the higher the DPI, the faster the cursor will move. 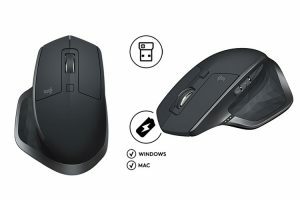 There are currently 3 main sensors on mice (wireless or wired). We will see a little more in detail the operation of each and determine the advantages and disadvantages. Optical Sensor: an LED emits light on a surface that is transmitted through lenses to a sensor. This one analyzes the asperities of the surface, therefore of your office, mouse pads or others, and calculates the trajectory to retransmit on the screen. Currently, this technology, although controlled, is probably the least accurate of the market. The Laser Sensor: For this technology, the bases of calculation are the same as those of the optical sensor. The difference comes from the use of a beam that allows the sensor to get much clearer shots. All this offers a much more precise displacement but adds a constraint: the use of a glass surface is to be avoided. Indeed, the beam will not be, or very difficult, able to return the information correctly and thus will cause cuts in the movement of the cursor. Bluetrack: we owe this technology to Microsoft. To compensate for the difficulties of operation on glazed surfaces among others, the famous manufacturer decided to use a blue LED. This color is actually less sensitive to dust and stains than the red used conventionally. In addition, the famous snapshots returned to the sensor have a much higher contrast and resolution, giving even better accuracy. Finally, the beam used by the Bluetrack technology is 4 times larger than the others, which gives the sensor a better idea of the surface on which your mouse is placed. What Elements To Consider In This Choice? Choosing a mouse is not easy especially as this device will be, with the keyboard, the most used on a PC. To ensure a good choice, we must first look at ergonomics. A rounded shape ensures a good grip and avoids cramps if you spend your days on the computer. A flattering shape will be nice for a short time but is not necessarily studied for long use. Sensitivity is an important though secondary point. For conventional use, a mouse having a sensitivity of 800 DPI will be amply sufficient. Only the demanding Gamer will look for a very high DPI that allows for little grip movement while quickly scanning the screen surface. For my part, I am a user called "multimedia", so I play games from time to time and office. My mouse is set to 1200 DPI and it suits me perfectly. 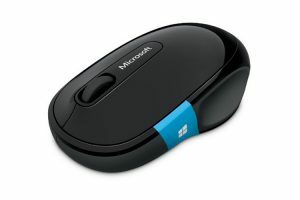 Last point to be addressed in connection with a wireless mouse purchase: connectivity. It must be taken into account that an input or mid-range mouse is often devoid of a USB adapter. This information is not to be overlooked, because many PCs, especially desktop, are not equipped with integrated Bluetooth technology. Be careful to check the presence or absence of this item before your purchase. Is the price a guarantee of quality? To answer in the negative would be heresy, but it is true that some models display very high prices for no apparent reason. On the other hand, it is clear that a first prize mouse will never match the quality of an expensive model. On this type of device, we must admit that the price is related to quality. A mouse with the thumb wheel, solid, with a good grip and multiple customizable options will always be much more expensive than a model with three or five classic buttons. On the other hand, that does not necessarily mean that you have to ruin in a very expensive model to obtain a device quality. There are, for example, models with 12 or 15 buttons! If you are not a player, there will be no point in investing large amounts of money to never use the features. I will advise you to take the time to identify your needs and expectations before choosing a model.